BJ Mendelson (@bjmendelson) is author of Privacy: And How to Get it Back. 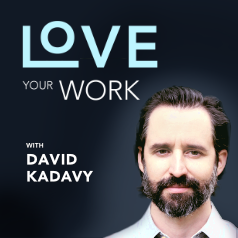 One of the key themes we’ve been exploring on Love Your Work over the past three years has been just how it is that creators get paid. This was certainly top of my mind when I doubled down on writing and podcasting and moved to Colombia with no clear business model in site. To understand how creators get paid, we need to understand the entire economy of content. How does content get monetized, and how much or how little of that monetization makes it to creators? We’ve talked about how the economics of content shape technology in my essay on the Behavioral Revolution. We’ve talked about how those economics promote digital distraction in conversations with Hooked author, Nir Eyal. We’ve talked about new models for monetization – such as cryptocurrency-based compensation – with Steemit CEO Ned Scott, and with Maneesh Sethi from Pavlok. Today, we’re going to dig into privacy. When you understand how your privacy is being invaded to keep the web running, it becomes more clear just where things will be going in the future, and what you can do as both a creator and consumer of content to make that a bright future for yourself and your fellow creator. What are the ways that our privacy is invaded to keep the web running. Why does it matter? What can you do to protect your privacy, and encourage companies to search for other ways to monetize? Is the online advertising industry in for a day of reckoning? What trends should you, as a creative entrepreneur, be aware of? Skillshare: An online learning community with over 18,000 classes in design, business and more. Get two months of unlimited premium access – for only 99¢! Go to http://skillshare.com/loveyourwork. Backblaze: Gimmick-free, unlimited cloud backup for Macs and PCs for just $6/month per computer. Get a full-featured 15-day free trial at http://backblaze.com/loveyourwork.